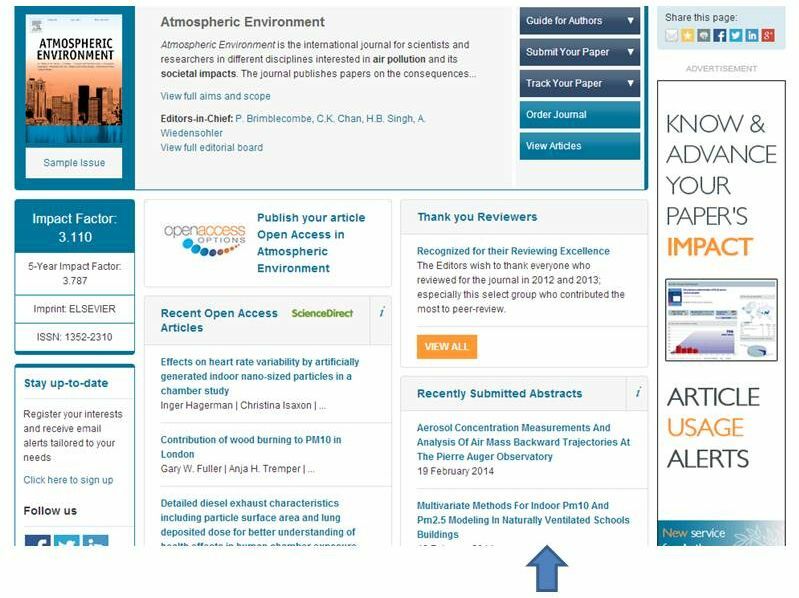 To the editors of Atmospheric Environment, ensuring their readers could access research at the earliest possible stage was a top priority. So, together with their Publishing Director, Bethan Keall, they found a novel solution – publishing the abstracts of recently submitted papers on the journal’s Elsevier.com homepage. According to Keall, the pilot reflects a broader move towards transparency within publishing. She believes the benefits of the pilot are manifold. “Not only do readers get to see research at an earlier stage, they get a feeling for new work on the horizon and can even benchmark their work against the featured abstracts. Potential authors can also better gauge the range and scope of the journal and assess if the journal is the right home for their research,” she said. It is clear readers are embracing the initiative – ;since the pilot was launched in March last year, the recently submitted abstracts pod has consistently proved the most popular on Atmospheric Environment’s homepage. The trial, which is operated on an ‘opt-in’ basis, is also proving popular with authors – in the last 10 months, 50 percent of the 2,549 authors who have submitted a paper to the journal have chosen to participate. 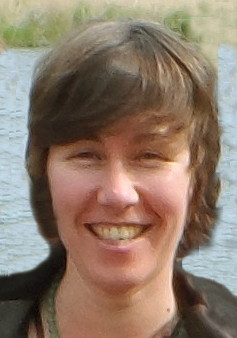 Keall regularly surveys authors using the RSS feed and recent feedback led to the corresponding author’s email address being featured alongside the abstract. 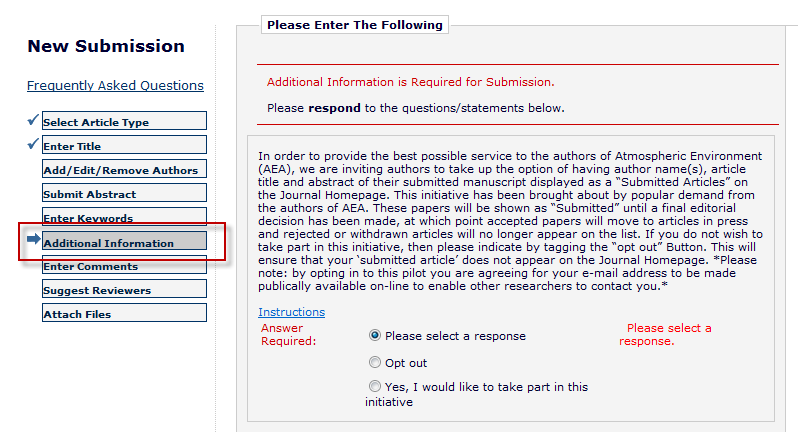 As illustrated in the screenshot below, at the point of submission to Atmospheric Environment, authors are invited to choose whether they would like their abstract to be included – if they tick yes, an RSS feed picks up information exported from the Elsevier Editorial System (EES) and the abstract is included in a dedicated pod on Atmospheric Environment’s homepage. 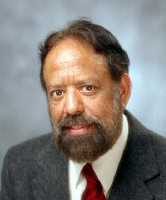 Articles rejected after the point of submission or peer review are removed from the RSS feed. Those that are accepted are transferred to appear as Articles in Press on ScienceDirect. In a recent edition of Elsevier’s Authors’ Update, readers were asked if they would like to see this rolled out to journals in their field – 80 percent of respondents said they would.